I'm going back to evening blogging for the time being. Hopefully I will be a little more consistent this way. Last week was a little crazy with a sick toddler and a bunch of orders from the shop to get done. We all made it through and Piper is doing much better now. This weekend, I did a lot of birthday party shopping for my girl. I've been experiencing some really heart-fluttery bitter-sweet moments while thinking back to where I was a year ago at this time. I can still remember what it felt like to be 9 months pregnant with my 9 lb. 6 oz. baby girl. These days I feel like I am constantly going back and forth between wanting Piper to be my little baby forever and being excited about all the amazing things she'll do in this life. Piper's first birthday is this Thursday and her party is on Saturday. We chose the theme "Winter ONEderland" and it couldn't have been more fitting for our current weather situation. We got about 2 feet of snow overnight. It's a winter wonderland out there, alright! I am making a lot of the decorations for Piper's birthday party. 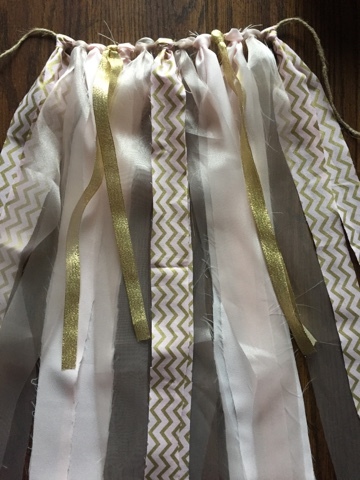 Yesterday I started working on a rag tie garland to decorate her high chair. It's looking pretty nice! I printed about 400 photos and put each of them away into a couple albums after Piper went to sleep last night. I figured I would set them out at the party for people to look through. Nick and I had a lot of fun looking through the pictures last night, and I think both of our hearts ached a bit in seeing how much she really has changed in just a year. The days are long but the years are short, indeed. Tomorrow I have an 11 am appointment with my new accountant for my at-home business (Anything Rustic) and then I have a couple more banners to work on for the shop. 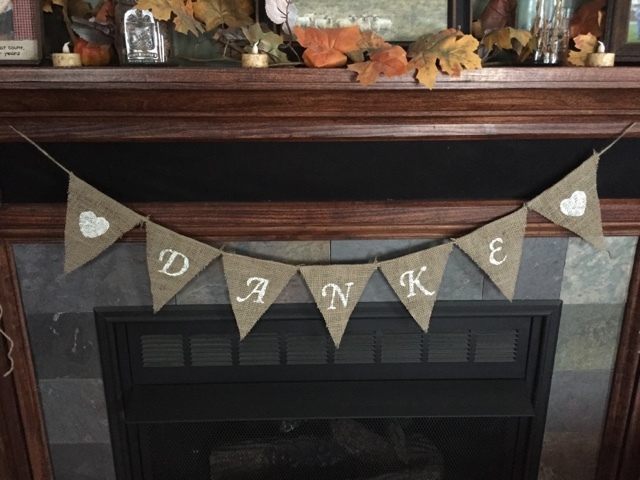 Today I made this cute custom order for a "DANKE" banner (which means "thank you" in German). Tomorrow I have a "Welcome Baby" banner and a custom name banner for a new baby, on the way. I love my job! 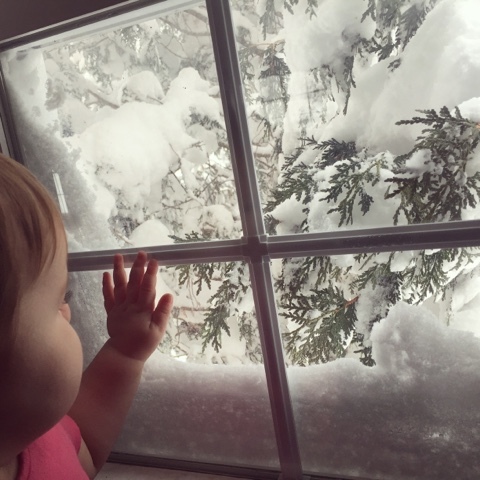 Readers, have you been getting any snow lately? If you could win a custom banner from our shop, what would you want it to say?